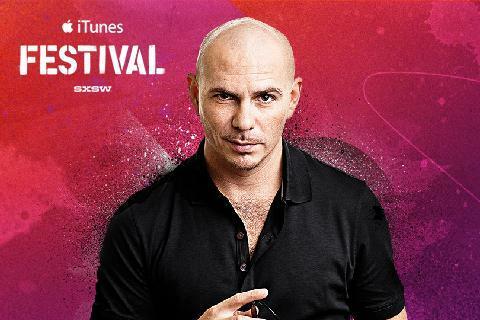 You Can Still Stream The 2014 iTunes Music Festival, A 90’s Rave Days Mix & More Fresh Free Music! Welcome back music lovers! Happy Friday! Throw your hands up in air and wave them around like you just don’t care. Today is a very special day because of all the free content I have to share with you, not to mention a flashback mixtape and a round up of new artists producing music you just can’t stop boppin to, so let’s get into it shall we? 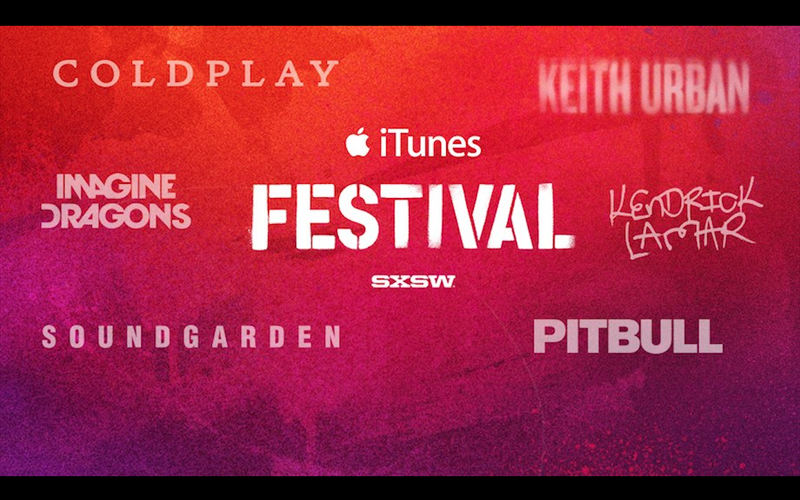 First off we have the iTunes Music Festival at South by Southwest (SXSW) in Austin! A collection of music industry heavyweights rocking the crowd! Apple’s music festivals has been rocking music lovers at London’s Roundhouse venue annually since 2007. This time around Apple has decided to host the event in the US for the first time ever and has decided to give fans who couldn’t make it to the show some streaming options to view the festival live from the comfort of your couch! Sit back and enjoy awesome performances from fifteen of the biggest names in the music industry including Coldplay, Kendrick Lamar, Soundgarden, Pitbull, Keith Urban and more! You can stream the performance live or (for busy folk) after the festival for a limited time after March 15th! I love the fact that you can steam the shows and not miss a beat, even after your favorite performer has left the stage! Watch it live right now by using one of the streaming options below! Also check out the list of performances so far below! 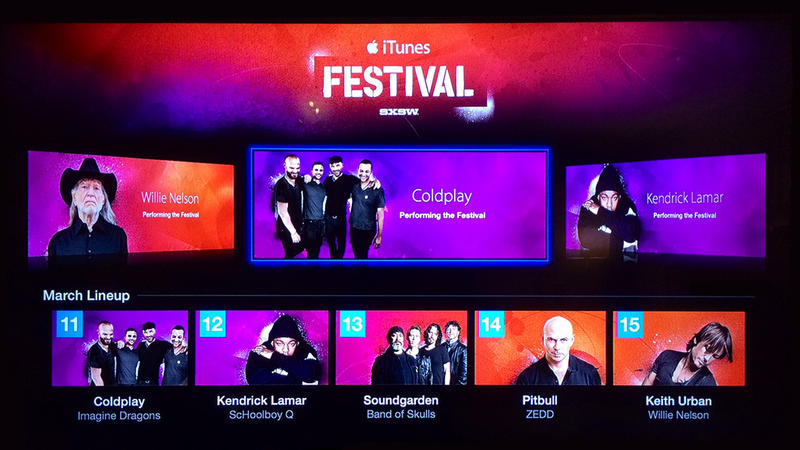 Stream the iTunes Festival on Apple TV Besides an app Apple also provides viewers an option with a new iTunes Festival channel to the Apple TV. 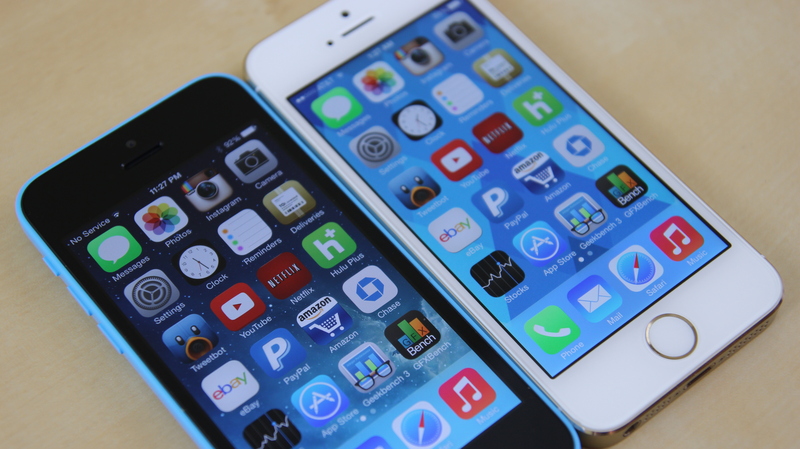 The channel should already be available for all, in most cases featured prominently among the other channels found on the device’s home page. To stream performances, simply tune in during any of the concerts. My View: AMAZING MUSIC, AMAZING! I get a nostalgic feeling listening to this! You will too if you’re a fan of the 90’s rave scene. Enjoy this FREE MIXTAPE and let those memories of club nights and dancing till dawn come back!! There are many things I can say about this collection, but I’ll let the artist and his mix show you. Hit play after the description and dance! I’m feeling this track very much! I like it so much I decided to stop mixing and producing to take some time out to tell you guys about it! I hope you rock out! The music itself tells the story. All you have to do is listen. It is also FREE to own! How cool is that? Your ears will go, “WOAH” and when that happens you know it is real. Oh yeah, I’m feelin this one! 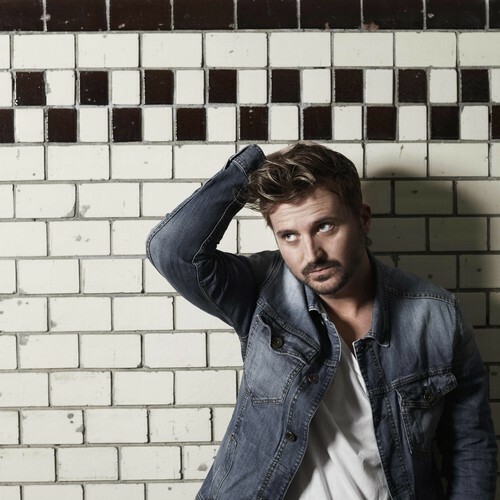 Great atmosphere and an R&B and classic Hip-Hop vibe fill the track with a good feeling. It’s a free download, so be sure to claim your copy and support this great new music artist out of Boston! Awesome track! 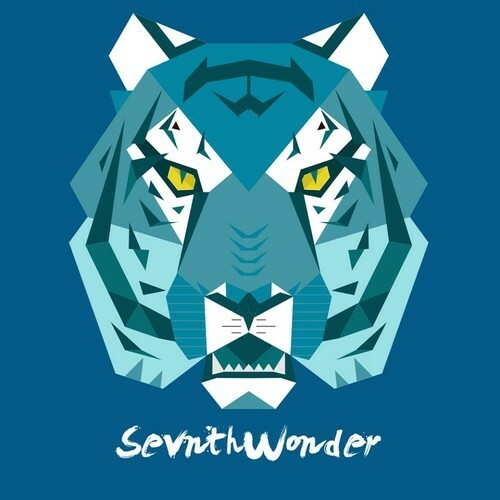 Sevnth Wonder is a cool artist for sure, so I can’t wait to hear more of his future sounds! Check it out! Your ears will go, “ahhhh” and that’s always a good thing! Take a listen. I happen to like this mix very much. It’s two hours of epic sounds, so be prepared to party! As the title says, the tape will ready you and your friends for a night of dancing! Think of it as the party to the party, so play this and don’t get worn out on your way to the party! This is also a FREE TAPE! Jump on it and use your cash to get a water bottle. You’ll need the hydration while listening to this hot sound! My Favorite track so far has been “Bird Machine”, keep reading and everything changes. At first I was like ok, now I’m like this is cool! I’ll be looking forward to future developments in JackEL’s music. I feel like everyday day is Christmas when I hear “Bird Machine”. This is a good remix to a familiar friend I’ve known for years, Eiffel 65’s classic song, “I’m Blue.” The remix is cool, so much so that I reposted it on soundcloud and played it again and again! Now this track is my favorite. It’s great and as for JackEL’s other works, you simply have to check em out. You must do yourself a favor and hit play. Then discover “Fire Storm”! I’m telling you, discover “Fire Storm”. “Bird Machine” was woah, “I’m Blue Remix” was wow and “Fire Storm” was woooooah with some great samples there, but I just wish it was a longer song. Too Short! Why are all these hot songs I like short? 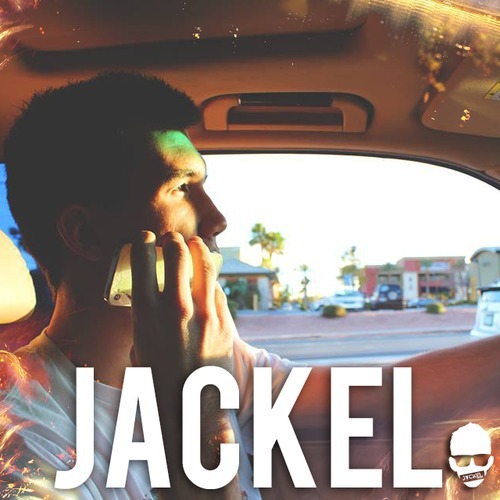 That’s when I hear this….https://soundcloud.com/officialjackel/lrad-vs-animals-jackel-mashup . The problem is solved because this mashup that follows “Fire Storm” is CRAZY. ENJOY!! Oh and then there’s the song, “Like A Pyramid Scheme”….see what happens when you listen? You can’t stop and just want to keep listening. That’s the mark of good music wouldn’t you say??? Just HIT PLAY! Don’t forget to tune in next week for post 6 and more fresh free tunes and news! Till next time music lovers!!! Peace & Viva Good Music!!! The Art of Dirty Six & More Fresh Free Music! 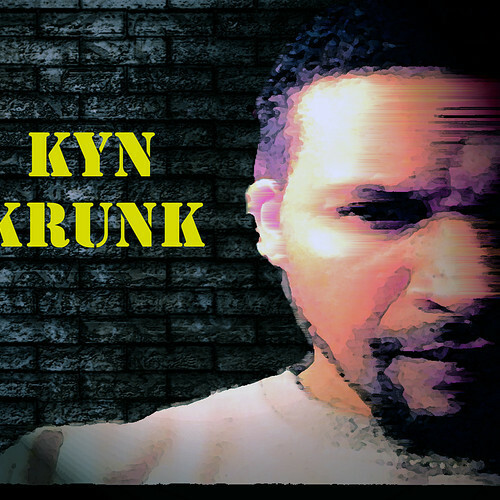 Co-Naming The Birthplace Of Hip-Hop, The Art of L’Amour & JeRm La Haine, More Fresh Free Music! Learning Logic Pro X, Bane, Terrors & More Fresh Free Music! Reactions to Kelvin Doe, a.k.a. 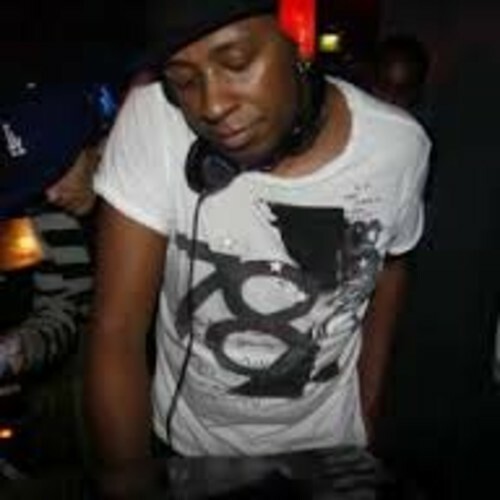 DJ Focus from Sierra Leone & More Fresh, Free Music!